Links International Journal of Socialist Renewal -- The result of the December 20 election put an end to Spain's political shift-system, and opened up the historical possibility of our country having a government not exclusively dominated by the old party machines that have shared power over the last decades. For the first time, Spain could have a pluralist and progressive government disconnected enough from past practices to: guarantee the introduction in its first 100 days of a program of immediate emergency social support; lead the constitutional change that the citizens are calling for; provide democratic solutions and new formulae of coexistence to meet the territorial crisis; and with fresh blood purge the parasitism from our institutions. Confronted with the rumour mill, the interested leaking, the shadow plays and the half-truths that have allowed the Popular Party (PP) and Citizens to get control of the speakership panel of Congress after reaching an agreement with the Spanish Socialist Workers Party (PSOE), we have made a clear proposal. 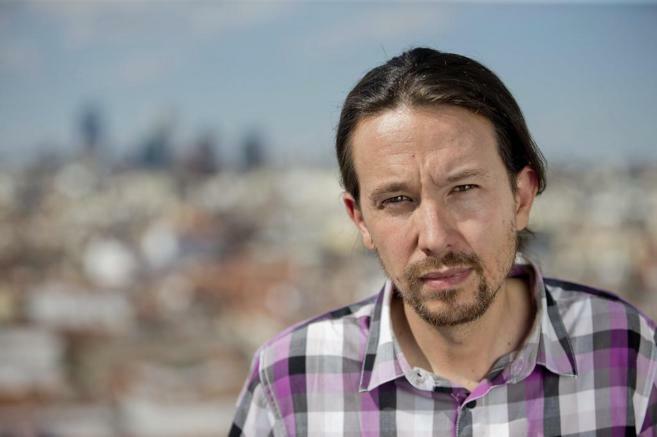 We have said that it is possible to satisfy the hopes held for a pluralist and progressive government by the more than five million voters who gave their confidence to the PSOE and by the six million who gave support both to Podemos and the broader platforms in which we participate, as well as to the United Left-Popular Unity (IU-PU). We cannot fail these 11 million voters nor those who under no circumstances want the PP to remain in power. In fact, this government of change would be among the governments with the broadest electoral support base in the history of Spain, and it would embody a tradition normal in European culture: that of coalition administrations. Enormous pressure is being exercised by the powers-that-be, in Spain and abroad, for the old political machines to continue to keep the state in their grip, in this case with the connivance of Citizens. Its bubble now burst, Citizens is revealed as the best ally of the elites' Leopard-style plans to have business carry on as usual through a PP-PSOE-Citizens alliance to defend the bunker. Citizens represents neither change nor progress: it is rather the point of support that allows the old parties of the shift-system to dig in and resist popular pressure for the new transition. But in the face of this "pact for stagnation”, history offers us an opportunity for social and democratic progress, one which must open the way to altering the balance of forces in Europe and to limiting the excesses of German ortholiberalism. We've said it many times and we continue to think it: we don't trust the PSOE apparatus but we do admire its rank-and-file members and its voters. Its old apparatuses and its functionaries never miss an opportunity to do the exact opposite of what they preach, agreeing with what they themselves call "the right wing”, but the PSOE rank and file sympathises more with us than with that right wing. They know that our presence in government — from the deputy prime ministership to the strategic ministries that would be ours — is the best guarantee that their own party won't disappoint them again. The agreement that handed the speakership board to the PP and Citizens was bad news: not only because it prefigures a three-party government that the socialist rank and file don't want, but also because it will hinder progressive legislative action in the lower house. It is legitimate for the PSOE to prefer to reach an understanding with Citizens and with the PP before us, but the fact that we are doing our utmost to bring about a government of progress must be respected. We also know that the best vaccine against treachery, fake leaks and double-dealing is to have the citizens as witnesses of what is said and done. That's why we have invited [PSOE leader Pedro] Sánchez to take part in a dialogue open to the public, without prejudice to the negotiations that must also take place. Negotiations are necessary to settle the text of agreements that must afterwards be made public, but proposals and arguments are tested out through public discussion. The "temporary" withdrawal of the candidacy of [Acting PP prime minister] Mariano Rajoy has sped up the chances of bringing about a government of progress. There is no time to lose nor to give to those who are ready to argue that a grand coalition of the PP, PSOE and Citizens could be viable, if necessary by doing away with Sanchez and Rajoy. In the face of the restorationist schemes of the ultraconservatives, the moment demands that "audacity, more audacity, always audacity” for which Danton has passed into history. We are at a point when the instinct for history, for what Isaiah Berlin called “sense of reality”, must lead us to play a role that responds to the aspirations of the majority. That's why we are prepared to form government. I have been able to talk with [IU-UP leader] Alberto Garzón and he is ready to move forward in the direction of change. I've talked with leaders of other forces that are open to dialogue and don't want the PP to govern. This Sunday [January 24] I spoke with Sanchez, and I hope, with all my heart, that he allows himself to rise to the occasion.